KAPIOLANI — On a sunny afternoon, No. 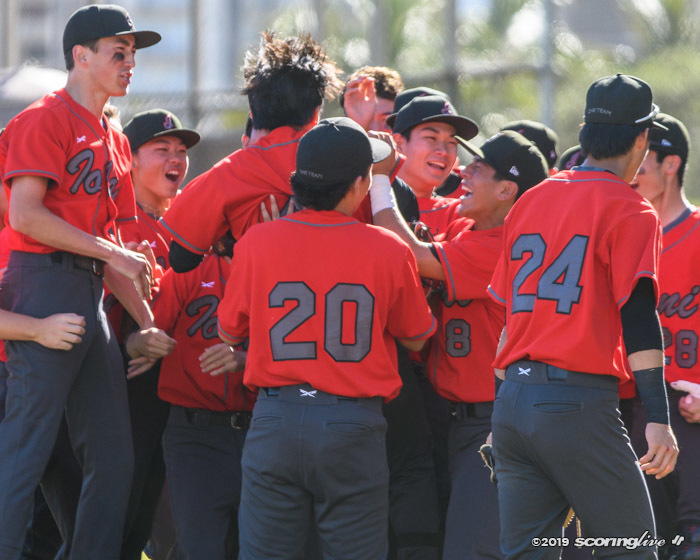 2 Iolani was powered by its battery. 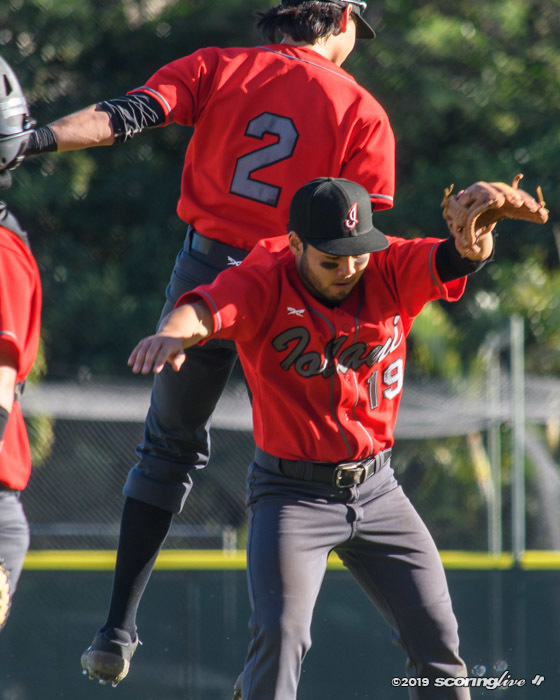 Pitcher Aaron Ujimori and catcher Micah Yonamine each homered in the Raiders' 7-2 win against No. 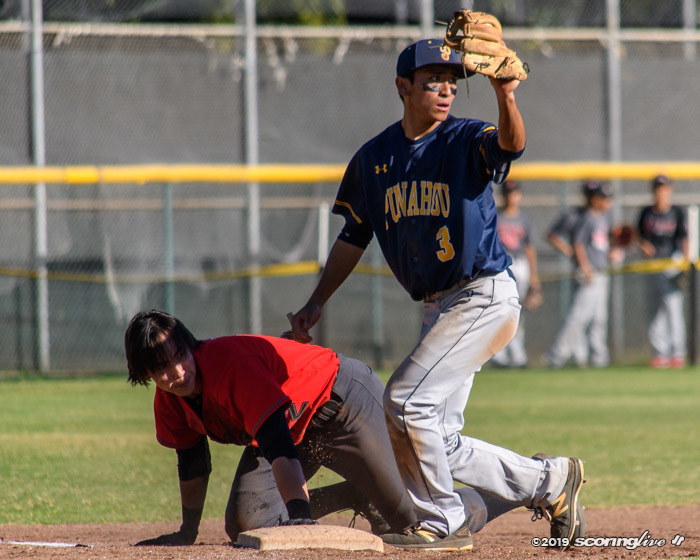 4 Punahou Tuesday in Interscholastic League of Honolulu baseball at the Raiders' field. 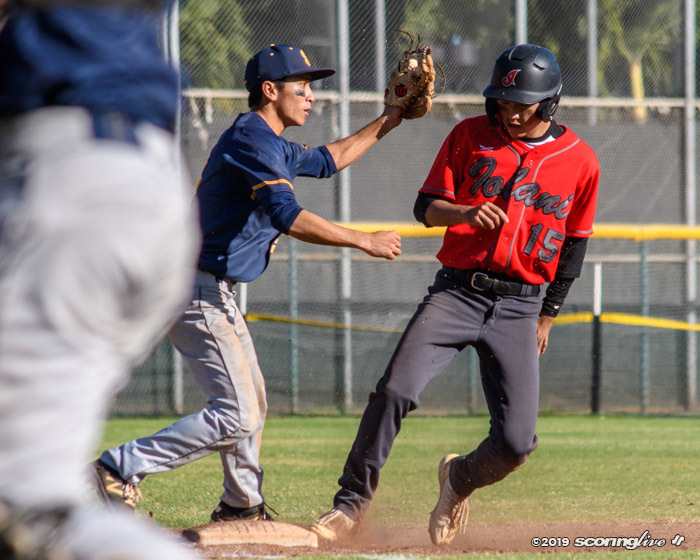 Both teams entered the contest unbeaten, but Ujimori's complete-game win kept the Raiders' record unblemished at 8-0, while the Buffanblu fell to 6-1. 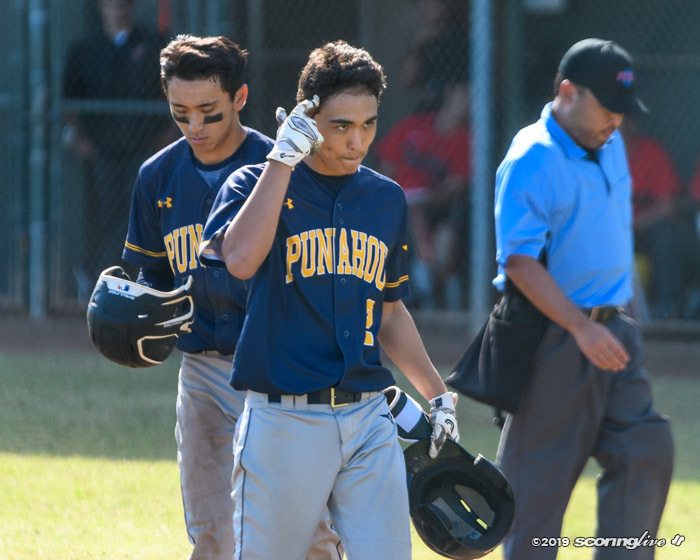 "I think it was a good win for us, but every game in the ILH is tough," Yonamine said. "We have a big target on our backs, that's for sure." 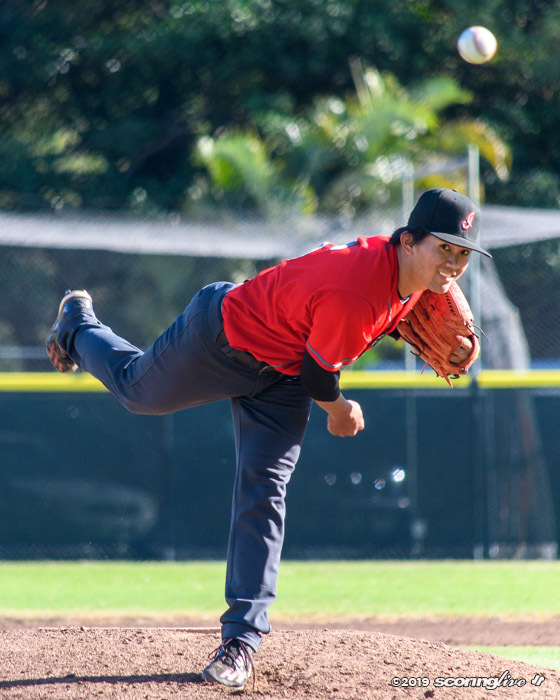 The right-handed Ujimori threw an economical 82 pitches, scattering seven hits, allowing two runs, one earned, walking none and striking out four. 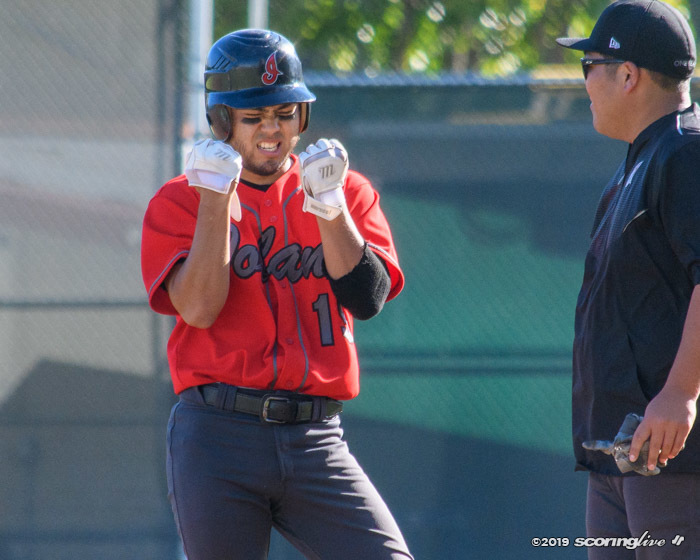 "Everything was on today: fastball, curveball, changeup," Yonamine said of his batterymate. "He was throwing them all for strikes." Ujimori, who bats sixth in the order, was capable at the plate as well. 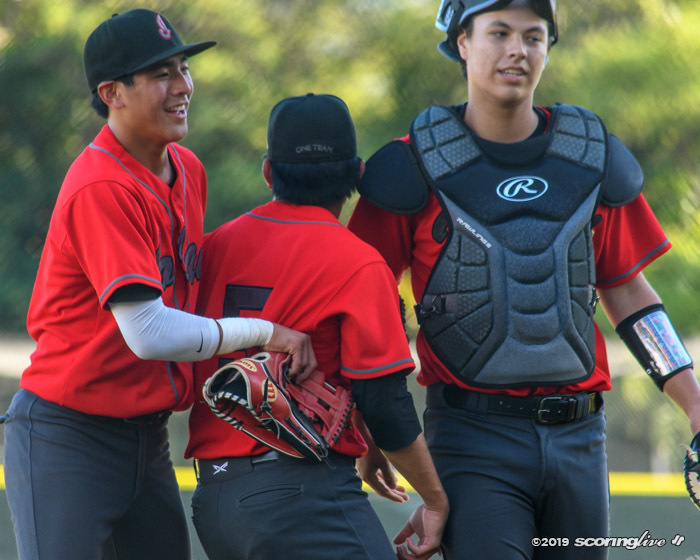 He lined out to right in the first then slammed an 0-2 pitch over the right field fence in a two-run third inning that started with Yonamine's lead-off blast to left. 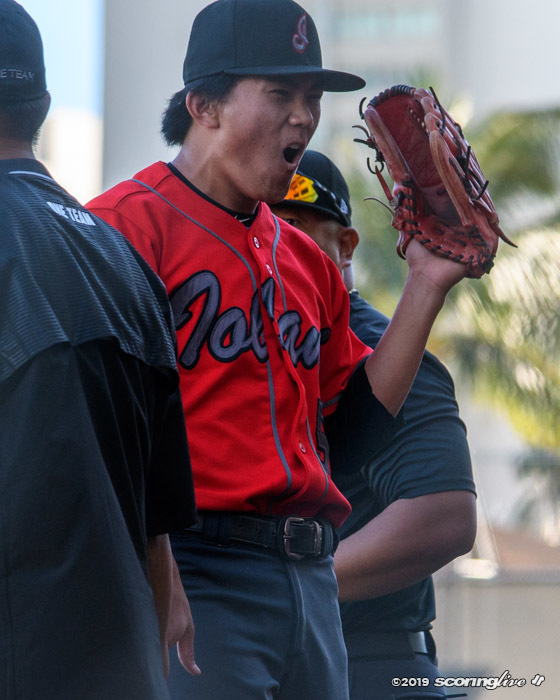 "Both felt pretty good," Ujimori said of his homer and complete game. "But throwing today (I was) pretty nervous. 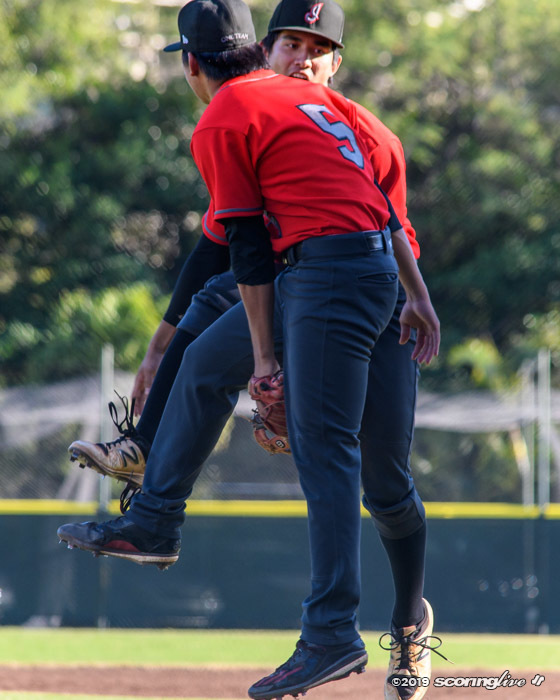 Just throwing strikes, competing and trusting my defense. Getting my changeup over was a big part." 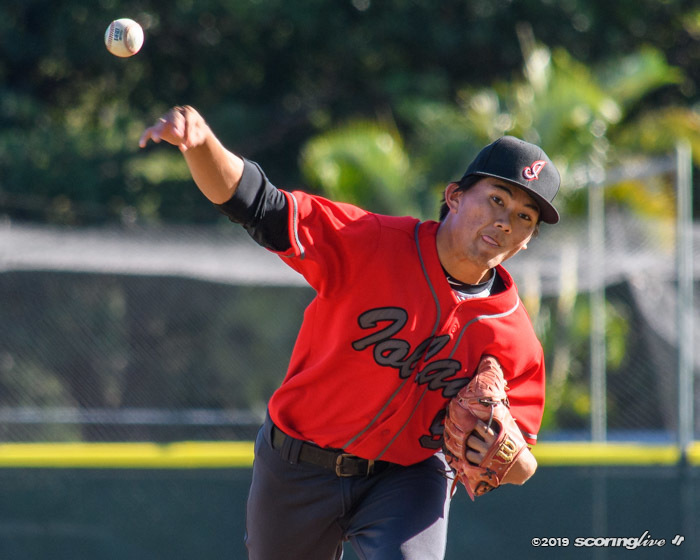 A complete game is crucial in the ILH because teams play three times per week and pitch counts become a factor, especially for relievers. 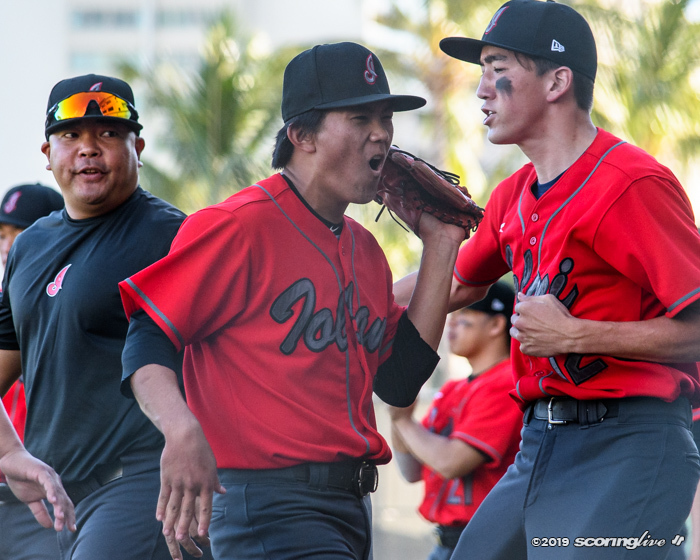 "He did his job, threw strikes," Iolani coach Kurt Miyahira said. "We gotta clean up some stuff on defense, some base-running stuff, but Aaron, for the most part, went out there and did his job." 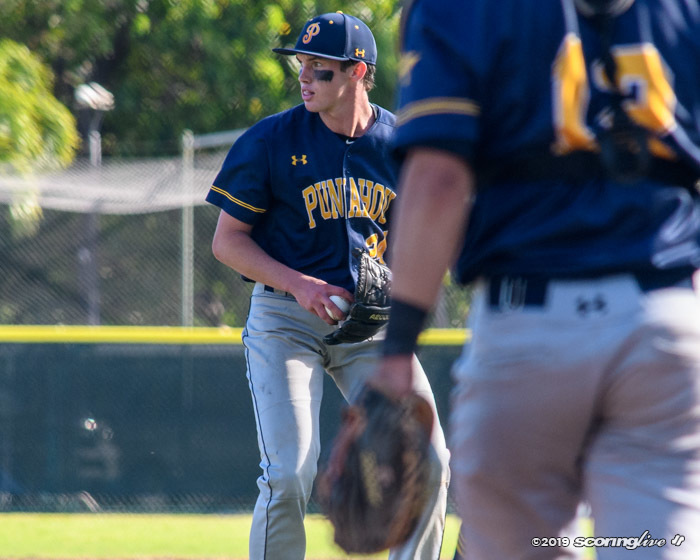 Punahou starting pitcher Matt McConnell also went the distance, striking out nine and walking two. He might have deserved a better fate. 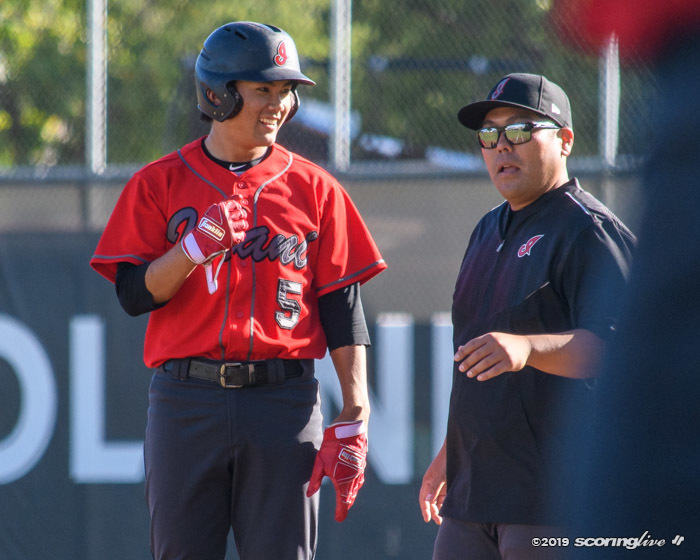 A misjudged fly to center field turned into an RBI double for Shane Sasaki in the first inning in the Raiders' three-run first inning. 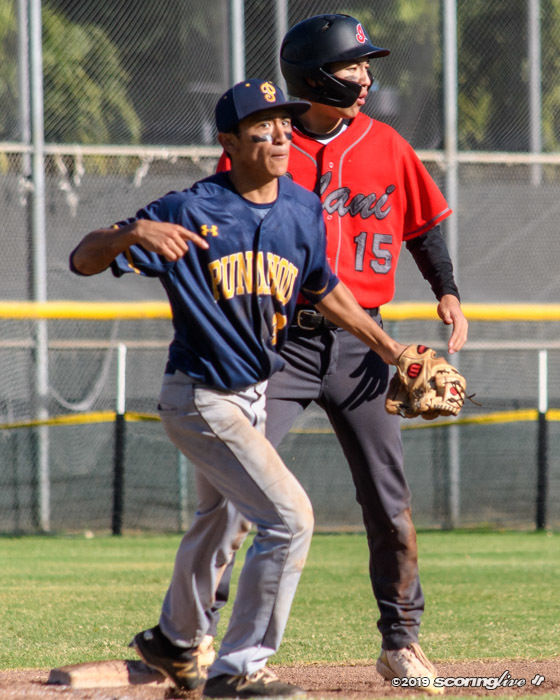 Had the ball been caught by center fielder Koa Eldredge, the runners would have been at first and second with two out. The next batter grounded out and would have ended the inning. 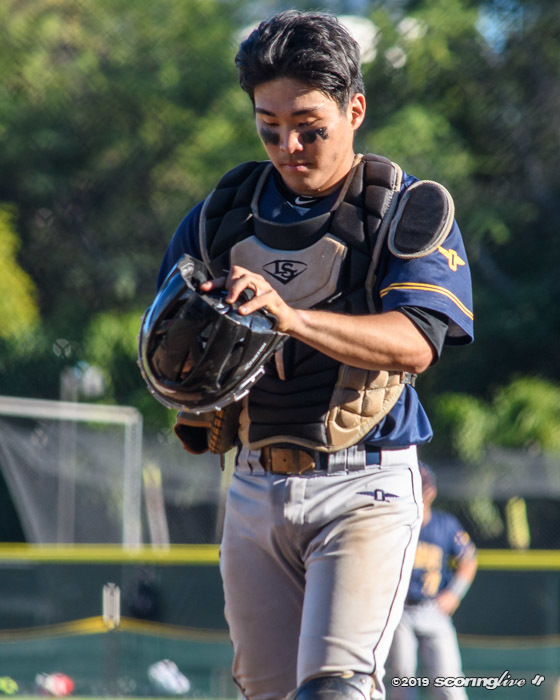 In the second inning with two out and a runner at second, right fielder Aaron Tom dropped a fly ball by Shayden Kubo, allowing a run to score. 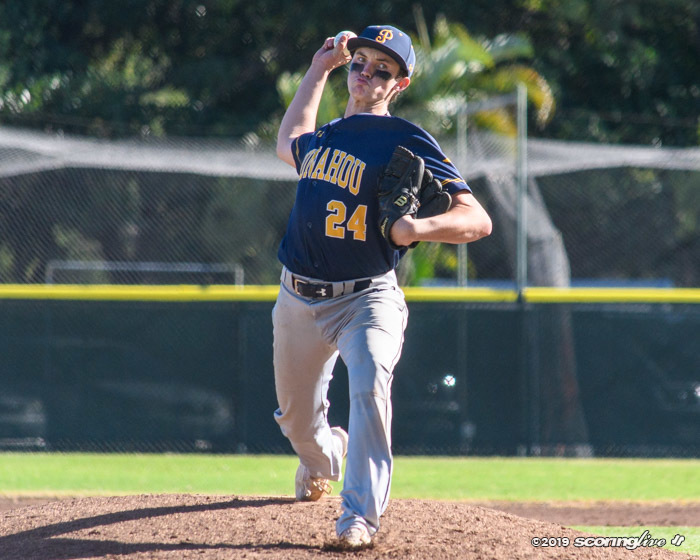 "Matty pitched well," Punahou coach Keenan Sue said. "He made a couple of mistake pitches that they made us hurt on; that's what a good-hitting team does. They hit when they needed to, we didn't. They made plays when they needed to, we didn't. That's baseball." 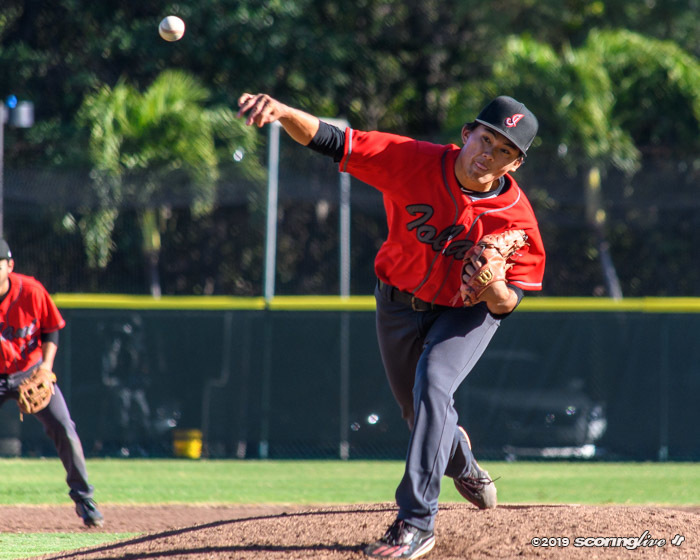 McConnell threw 113 pitches, three over the Hawaii High School Athletic Association-imposed limit in a single day. 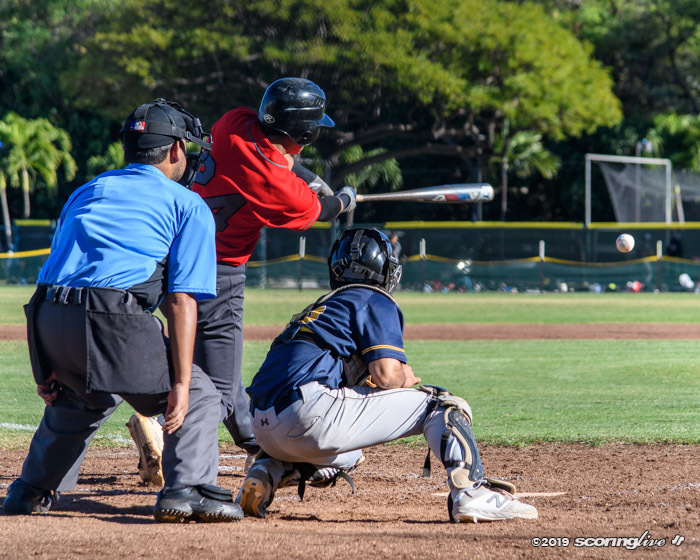 A pitcher is allowed to exceed the limit if the situation occurs during mid-count against a batter. 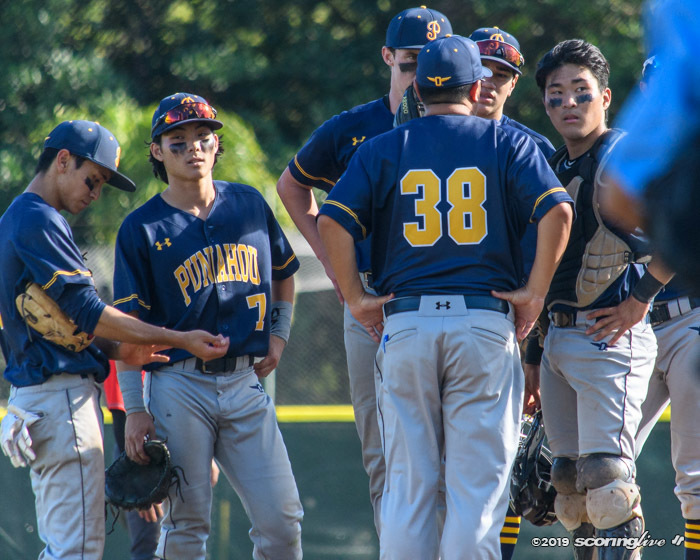 Punahou was down 4-0 on runs in what should have been a scoreless tie after two. 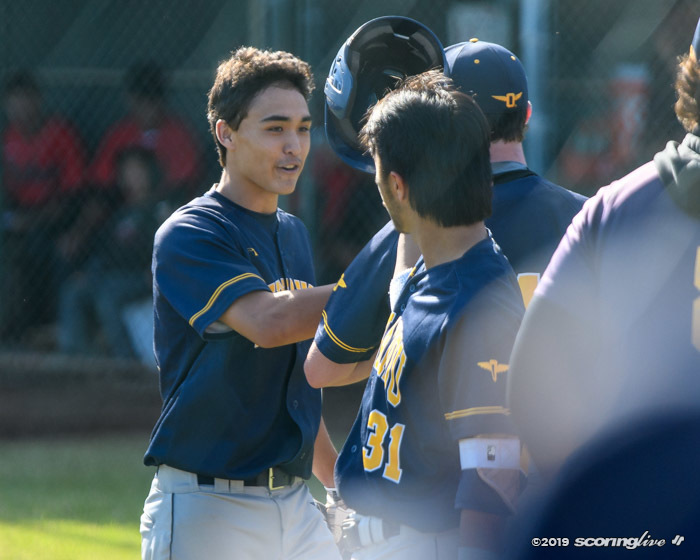 But the Buffanblu got an unearned run in the top of the third when Jake Tsukada reached on first baseman Micah Miyahira's fielding error and scored on Tom's flare double to center that went off the glove of diving center fielder Sasaki. 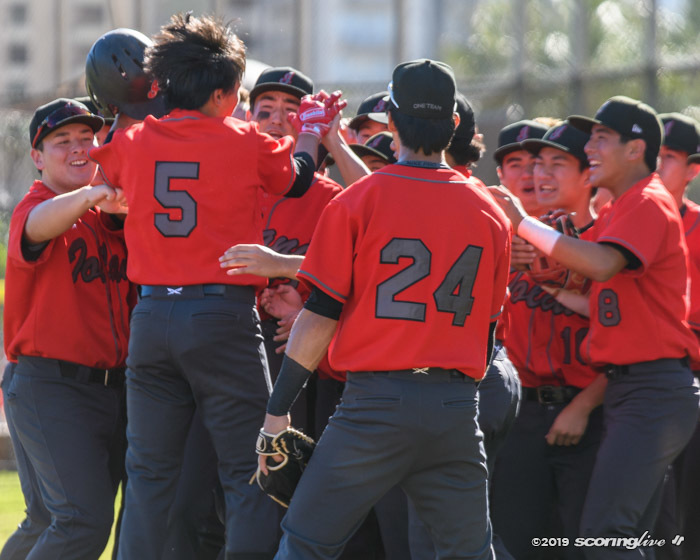 Iolani padded its lead to 6-1 with Yonamine's and Ujimori's solo homers in the third, while the Buffanblu got one of those runs back in the fourth on Kade Morihara's solo homer to right; he was 3 for 3 on the day. 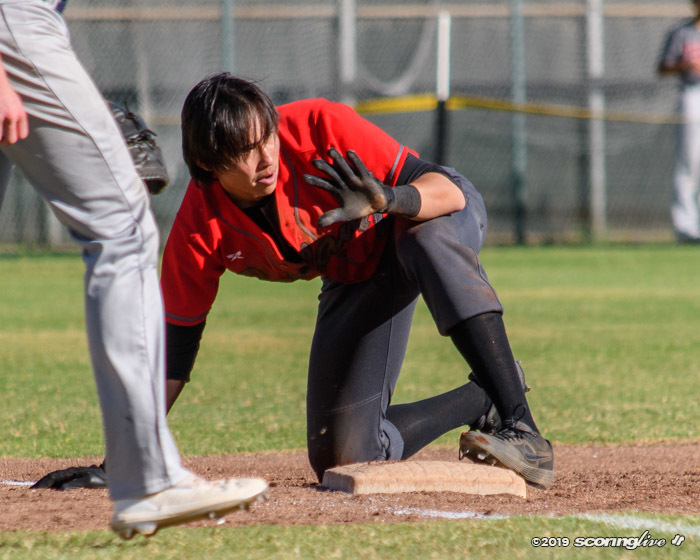 The Raiders added a run in the fifth when Jacob Hinderleider tripled to right-center and scored on a wild pitch. 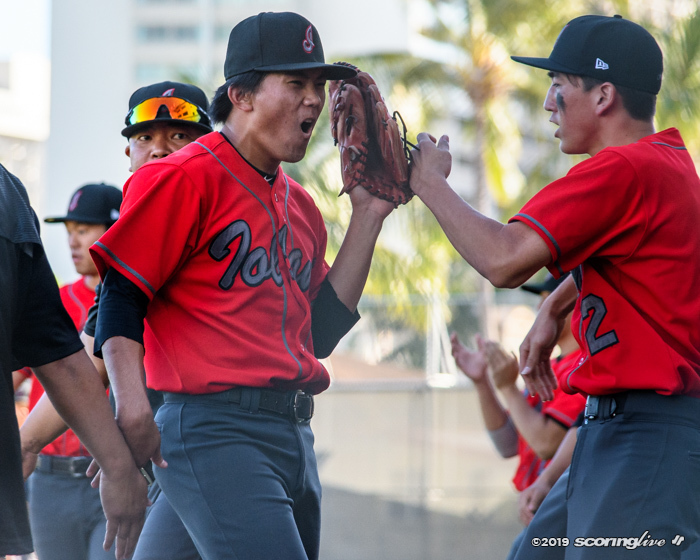 "We're fortunate to win this one," Iolani coach Miyahira said. "They're a really good club; (the Buffanblu) will be better." 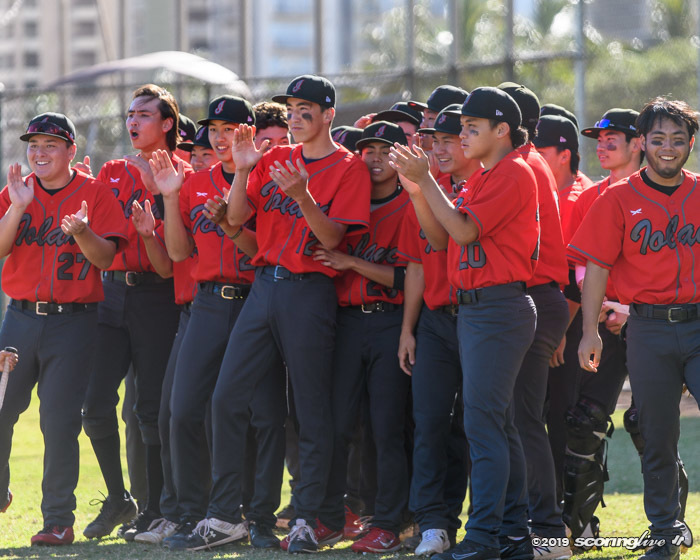 Both teams play Saturday with Punahou taking on Hanalani at CORP and Iolani hosting Mid-Pacific.